“Don’t worry, #Roseanne show fans-next season will be even braver/funnier/timely than this season, despite what anyone mistakenly says,” the 65-year-old comedian tweeted Tuesday. don’t worry, #Roseanne show fans-next season will be even braver/funnier/timely than this season, despite what anyone mistakenly says. ABC Entertainment president Channing Dungey predicted the ’90s reboot will trend toward being less political in the second season, Entertainment Weekly reports. 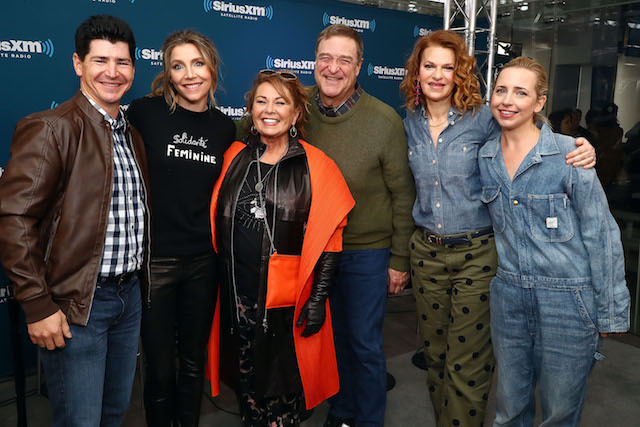 The debut episode on March 27 dealt with how the family was divided after the 2016 presidential election, with Barr playing a staunch supporter of President Donald Trump. “I think they’ll continue on the path they’re on toward the latter part of this season, which is away from politics and more focused on family,” she added regarding next season.